Welcome to Plymouth MI Discoveries! For the ease of finding us, we also use the domain: PlymouthProud.com . This page was created to be an on-line photo tour of the wonderful community of Plymouth Michigan. As a Plymouth resident, I am passionate about learning the history of homes and buildings throughout Plymouth. As my family and I discover new things about a home or structure, we post it to share with the world. 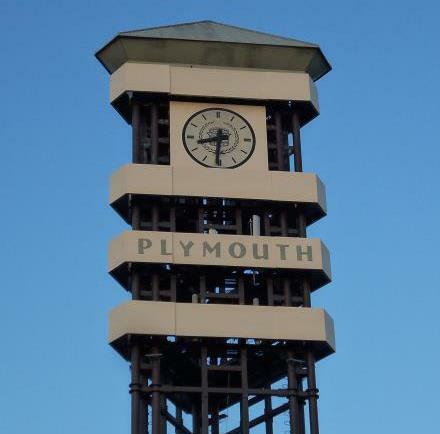 Our “Plymouth Proud Mission” is to share the history of Plymouth’s historical structures in order for the public learn and appreciate the rich history of our community. We hope that a greater appreciation of our historical structures will also encourage everyone to want to PRESERVE what we have for future generations to enjoy and appreciate. The name “Plymouth” describes both the City and the Township. I consider them both one in the same sharing the ZIP code 48170. Most of the history and information found on this page can be found at the Plymouth Historical Museum located at 155 South Main Street, Plymouth, MI 48170 Phone (734) 455-8940. You can also find our original page on facebook at http://www.facebook.com/PlymouthMiDiscoveries If you would like to contact Jim Salamay, the Author of this page, please fill out your contact information below. Thank you, enjoy, and be Plymouth Proud!